This is a technical article for the DC Heroes RPG. For a list of all articles like this one, see the Guide to new DC Heroes RPG rules. Ammunition Restriction – Expanded Drawback (usually for equipment). Ammunition discussion – part #2. Ammunition Load – Optional Rule. Age (Young) – Modified Drawback. Age (Old) – Modified Drawback. Appearance Drawbacks – Usage Notes. Authority Figure – Modified Drawback. Bulletproof Syndrome – New Drawback. Irrational Attraction/Fear/Hatred – Modified Drawback. Irrational Dislike – New Drawback. Designer’s Notes: This Drawback is generally used for equipment, though there have been corner cases. Ammunition Restriction (listed in Gadget descriptions as Ammo) is used in certain Gadgets such as guns. A Gadget with this Drawback can only be used a number of times equal to its Ammo rating before it must be reloaded. Normal reloading – takes an Automatic Action, but a Character may not perform a Dice Action during this Phase due to the time requirement. Unless Slow Reload, Very Slow Reload or No Reload is specified, assume normal reloads. Slow reloading – takes 3 Automatic Actions. Any Phase during which the Character is using one or more Automatic Action to reload is a Phase during which no Dice Action can be performed due to the time requirement. This is noted as the Slow Reload Drawback in the Gadget description. Very slow reloading – takes 6 Automatic Actions. Any Phase during which the Character is using one or more Automatic Action to reload is a Phase during which no Dice Action can be performed due to the time requirement. This is noted as the Very Slow Reload Drawback in the Gadget description. No reloading – the Gadget can only be reloaded between adventures. Once the Ammo is used up, it’s gone – but by the time the next adventure starts, the Character will have had time to restock and will have their full allotment of Ammunition at no cost (HPs or Wealth). The GM might allow a Character to restock during an adventure (by going back to their headquarters and spending the necessary time to obtain more Ammunition), but this will carry a cost of 5 Hero Points or more. This is noted as the No Reload Drawback in the Gadget Description, though “Grenade Drawback” is often used instead for suitable Gadgets. Low-cost items may be reduced to a zero or near-zero cost. High-cost items may find that the impact of the Ammo points break is negligible. Only being able to use a powerful Artefact or Gadget once per adventure should be a bigger deal than that. If this is a problem, there are three approaches. A Gadget may never have its cost reduced by Drawbacks to lower than one-half (fractions rounded up) of its cost without those Drawbacks. A 33-Hero-Point Gadget with two 10-point Drawbacks, therefore, would have a final cost of 17 Hero Points. As discussed in our Gadgetry document, this rule seems to have been deleted by mistake in Blood of Heroes: Special Edition. In low-powered games, it may well suffice to solve the issue. This approach modifies the Ammo Table above, though only the first four lines need changes. Most of the costs are still expressed using flat points, but the potentially problematic ones are now expressed in FCs. For those of you with house rules about “0.5 FC” costing, how to apply them should be clear. With this approach, the costs scale up and down in standard DCH fashion, instead of being set. Counting shots for Gadgets and Artefacts was still mainstream back when Mayfair Games was publishing DC Heroes. It is now less common in tabletop RPGs. Though all you need is to set a suitable dice aside to display your Ammo count, it’s still bookkeeping. Another evolution is real-world handgun ammunition capacity – handguns being the most common Ammo-based weapon. Back when DCH debuted, ammo capacities tended to be 6 or 7. Nowadays, 15 or 17 — beyond the Ammo table — would be common. Simplifying this stuff may thus be considered. Which also means flat points costing is no longer necessary for granularity. Ammo and reloading times are entirely ignored in most cases. Only the severe cases are modelled. The only two reloading types modelled are Slow Reload and No Reload. They behave as per above. The Ammo Table thus become right smaller. This take is a bit more generous than the mainstream Ammo table. Since in such games, the other fighters almost all ignore ammunition restrictions. Designer’s Notes: This is simplified compared to the “Ammo Drawback” and “Ammo Switch” Drawbacks I was experimenting with back in 2011. Another possible approach would have been a divisor. The DC Heroes rules offers little guidance as to how to handle carrying extra ammunition, or multiple types of ammunition for a single weapon. This becomes a problem for Player Characters along the lines of Hawkeye or Deadshot – how should they pay for their trick arrows and specialised bullets ? In many cases, the extra ammunition is commercially available. For instance just stuffing your quiver with basic broadheads, or having 2 extra clips of basic ammo for your Browning on the other side of your shoulder holster. These can generally be procured as equipment that is not paid for with HPs — see the New Rules File (Miscellanea) discussion about Equipment vs. equipment. This exposes the extra ammunition the vagaries of ordinary, not-bought-with-HPs equipment. However, a pricing scheme is necessary for ammunition that is manifestly non-standard (such as most trick arrows) or exists in a grey area (for instance cinematic explosive bullets that vastly outperform real-world ones, but are not meant to be advanced technology). Assign a reasonable BODY score to the ammunition (usually 1 or 2 APs), but do not pay for it. Lower the FC of all Powers of the extra ammunition by one (which in the case of Projectile Weapons, essentially means removing the Range component from the price). Ammunition loads normally have the Ammunition Restriction Drawback, providing a further price break – so if you have six freeze arrows, they have Ammo: 06. Which, amusingly, means that trick arrows make a lot of sense in the system’s logic. What does “Ammunition load for [weapon]” mean ? That it is basically useless on its own, and needs the medium of a weapon to be used properly. Corner cases exist (such as stabbing people with hand-held arrows, or throwing a handful cinematic explosive bullets into a small fire to put it out), but generally it needs to be loaded and shot. How narrow the weapon type should be varies. “Ammunition load for a bow” is probably OK in fiction, but in most stories “Ammunition load for a firearm” is way too vague, and something like “Ammunition load for a 9mm pistol” is probably a better degree of abstraction. It means removable box magazines that magically fit into all such weapons, and all 9mm rounds being the same – but by the standards of action stories, this is venial. Furthermore, a piece of equipment noted as an “ammunition load” must follow the loading procedure for the associated weapon, which may take quite a few Actions for a weapon with the Slow Reload Drawback or the Very Slow Reload Drawback. Even if the weapon is currently loaded, you must remove the current ammunition and load up the new one. A Character with this Drawback is a teenager between 13 and 16, and thus much younger than traditional heroes/villains. This has 2 main effects. First, the Character will have to contend with the limitations of not being legally and financially autonomous. He has to attend school or run into troubles, respect parental authority, cannot enter some public areas such as bars and some theatres, cannot have a driving licence, etc. He also lacks the credibility of a grown adult and risks being patronised or ignored under many circumstances. Second, the Character lacks experience. He cannot use any Skill Unskilled. All Skills he has must be learned and detailed, and the Character will have to content himself with Skilled Use. The GM may occasionally lift this restriction when the action in question sounds like what a teenager could do. Very atypical teen heroes may not be penalised by the first or second aspect. For instance a very rich orphan with effectively no guardian, who received education at home through preceptors and has a costume specifically designed to make him look bigger and older would not really be penalised by the first half of the Drawback. Lower the Bonus by 10 points for each half that does not actually penalise the Character. A Character can elect to have the Age (Very Young) Drawback. This has a Bonus of 25 points and applies for Characters that are between 9 and 12 of age. The personal limitations and lack of credibility are even stronger for this type of Character, and should be made ever-present by the GM. The rules book describes Age (Old) as something that comes in play at age 50. Of course, this should not be seen as automatic. Some people will get it earlier – say, due to chronic health conditions, being overweight, etc.. Some people will get it later – say, due to great health, anagathic factors, not being human, etc..
A 2 points permanent reduction of their Initiative score. All Recovery times are increased by 1 AP (see BoH:SE p227 for the standard Recovery time interval per Genre). Commenters: Roy Cowan and Sébastien Andrivet. No, it’s not just you. The Appearance Drawbacks in BoH:SE are confusingly named. It is common for people to accidentally swap Creepy and Distinct, based on what their name suggests. This also has the side effect of being pointlessly insulting when it’s a real world characteristic being thus tagged. Furthermore, there’s the Intimidation issue. The Drawback writeup is contradictory on that point. At first it says that a Distinct Appearance does not cause the fearful reaction that Creepy or Strange Appearance does. But then it gives both Creepy and Distinct Appearance the same penalty to Persuade and Bonus to intimidate. It’s more a system quirk than a system failure, though. It could be rewritten, but that means reviewing thousands of WORG profiles just to correct a quirk. Plus, people get angry when you move their cheese , so we traditionally err toward no changes. Characters with this Drawback also will not accept Hero Points from characters with the Leadership advantage. Obviously, this character is the most qualified to lead and should be the one giving orders, not taking them. It’s a GM call on whether this ability should be given to those with a villainous motivation, as it’s fairly standard for most villains. Designer’s Notes: This Drawback was rewritten to more accurately reflect how Authority Figures act in comics. A Character with this Drawback is responsible for a specifically defined large group of people (a nation-state, for example) and usually adventures to advance or defend his peoples’ interests. Authority Figures pay a fee similar to the one associated with the Guilt Drawback whenever he becomes involved in an adventure that does not directly relate to the welfare of his subjects. The GM is be the final arbiter of whether a particular adventure meets this criterion. If the ruler of an undersea kingdom joined his teammates in battling an invading alien force, the GM might allow the character to forego the Authority Figure fee. His kingdom is endangered by the alien force along with all the surface nations of the Earth, after all. If that same character left Earth alongside his fellow heroes to liberate a race of aliens on the other side of the Universe, the GM would be correct in imposing an Authority Figure fee. It’s a noble thing to do, but it has no relation to the character’s responsibilities at home. Designer’s Notes: This was previously known as the Superman Syndrome or the Übermensch Syndrome. This Drawback represents a character not using his full ability to evade attacks, either due to his basic naiveté or supreme overconfidence. It is common for characters who are invulnerable to most attacks and thus slow to acknowledge imminent threats when faced by hostile beings. The character therefore suffers an OV penalty against new opponents until said attackers score any RAPs of damage, after which the character can use his full normal OV. The penalty is determined by the level of the drawback. Bonus: This Drawback is not meant for use by Player Characters, as it would generally be counter-productive in play. It is meant to help model the behaviour of certain Non-Player Characters. As such, it has no associated cost. All the OVs and RVs of their Actions are raised by one CS. For Automatic Actions, their scores are considered to be one AP lower (e.g., if they wants to lift something, they’re treated as having one less AP of STR). They operate one Genre to the right of everybody else as far as Hero Points expenditure are concerned. Most Characters suffering from such penalties are reluctant to spend Hero Points given the reduced bang for their buck. In many cases they won’t spend any, assuming that the Character or team triggering this Drawback will save the day. Conversely, this means enhanced efficiency in other circumstances, as they can use the points they did not spend while labouring under Eclipsed penalties. The penalties are temporarily lifted if the Character with the Eclipsed Drawback is the only person who can save the Character or team triggering the Drawback from certain death. This is called by the GM. The Eclipsed Drawback was originally developed for Catwoman under the name Shadow Of The Bat (with Batman as the triggering Character) and for the 1970s and 1980s Black Widow (with Daredevil being the triggering Character, and the Drawback renamed Shadow of the Devil). It was also used for Ron Stoppable (from Kim Possible). Helper(s): Roy Cowan, Morgan Champion, William Chamberlin, Pufnstuff, Peter Piispanen. This is a more detailed version of the Enemy Drawback, based in part on earlier iterations of the Arch Enemy Drawback from which Enemy arose. 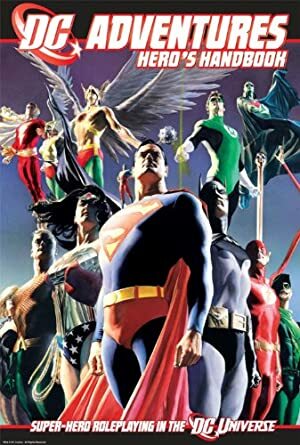 The level of detail above was chosen to reflect standard superhero tropes, particularly the classic tales of a character being confronted by a doppelgänger whose motivations are the opposite of the hero’s despite their similarity in most other ways. Enemy and similar Drawbacks are sometimes considered questionable for two reasons. The first is that they can be seen as double-dipping as characters already get HPs for fighting opponents and this Drawback in some respects gives them additional HPs during character creation for the same thing. The counter-argument is that this is an extension of the HPs awarded for background development and as such also provides additional plot fodder for the GM. That point is also the second concern of the Drawback, namely that it forces the GM to use a particular character on a regular basis. This is why it is particularly important to consult with the GM ahead of time when using this Drawback to make sure it will fit well into the campaign. A Character with this Drawback begins play with an implacable adversary who will do everything within their power to harass, ruin, or even kill the character. A synopsis of the Foe’s origin and why they have set themselves against the Character must be included in the Character’s Background in order for the Player to receive the Hero Point bonus. The GM must approve this Drawback and create the Foe using the Hero Point base listed for the appropriate level of Foe. Because hero/villain conflict is central to most superheroic games, a Foe must be more than merely a recurring opponent to warrant the Hero Point bonus. In order to qualify as a Foe, the adversary must be unwavering in their crusade against the Character. They must appear often and at inopportune moments to bedevil them. In short, they must pose an ever-present, never-ending threat to the Character. The Hero Point Bonus gained from taking this Drawback is dependent on both the level and type of opposition that the Foe represents, and the nature of the defeat they wish to inflict on the Character. Villains may never receive a Hero Point bonus for the Foe Drawback. An Enemy is a Foe who lacks the power and inclination to challenge the Character in combat, either directly or through subordinates. Instead, the Enemy will use what influence and resources they have to relentlessly harass, annoy, or threaten the Character. Usually, an Enemy’s ultimate goal is the end of the Character’s superheroic career rather than the end of his life. Alternately, the Enemy may be unaware of the Character’s double life, instead carrying on a vendetta against the Character’s civilian identity. A newspaper publisher who uses his tabloid as a platform to question the Character’s integrity, a police detective who employs legal powers to harass the Character despite the Mayor’s official stance of cooperation with super-heroes, or a classmate whose constant bullying inadvertently endangers the Character’s dual identity are all good examples of an Enemy. On rare occasions, the GM may introduce a Subplot wherein the Enemy gains the power to strike at the Character directly. This is always a temporary situation and before long the Enemy should be back to his more indirect harassment. An Enemy is built by the GM using a 225 Hero Point base. A Character who takes the Foe: Enemy Drawback gains 10 Hero Points. If the Enemy ever loses their ability or desire to carry on their vendetta against the character because of a change of heart, incapacitation, or death, the character immediately forfeits 50 Hero Points. An Arch Enemy is a Foe who possesses the power and inclination to challenge the Character in direct combat or through subordinates. More importantly, an Arch Enemy’s primary goal is always the elimination of the Character. To represent this all-consuming aspect of the Arch Enemy’s psyche, they should possess either an Irrational Hatred of the Character or an Irrational Attraction to defeating them. The Arch Enemy should have access to Powers, Skills, and/or Resources that allow him to be a true threat to the character. To that end, the GM should build the Arch Enemy using the same Hero Point base as the Character then increase his statistics, if necessary, to make him sufficiently powerful to provide a challenge for the Character. A Character who takes the Foe: Arch Enemy Drawback gains 15 Hero Points. This Drawback cannot be removed in play unless the Arch-Enemy is permanently incapacitated or is somehow convinced to abandon their enmity toward the Character. If this occurs, the Character must pay 75 Hero Points whether they were responsible or not. If the Character does not have the Hero Points available at that moment, they will be subtracted from their HP awards at the end of the Adventure. A Nemesis is a special class of Foe that bears many similarities to an Arch Enemy. A Nemesis possesses the power and inclination to challenge the Character in combat directly along with the Irrational Hatred of the Character or Irrational Attraction to defeating him that is the hallmark of the Arch Enemy. What sets these two types of Foes apart is the design of the Nemesis. While an Arch Enemy is equal in power to his rival, a Nemesis goes one step further: they are a twisted version of the Character, essentially the Character with a villainous motivation. 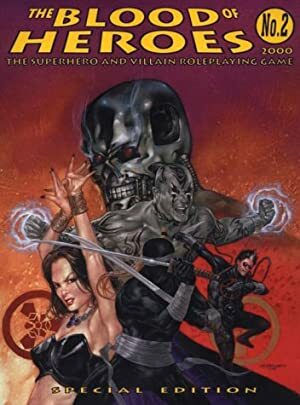 The GM should design the Nemesis as the Character’s “evil twin,” ensuring that the Nemesis possesses the same Powers, Skills, and/or Resources as the Character at approximately the same levels. The Nemesis’ Background and History should also mirror the Character’s and they should wear a similar or perhaps inverted version of the Character’s costume. A Character who takes the Foe: Nemesis Drawback gains 20 Hero Points. This Drawback cannot be removed in play unless the Nemesis is permanently incapacitated or is somehow convinced to abandon their enmity toward the Character. If this occurs, the Character must pay 100 Hero Points whether they were responsible or not. 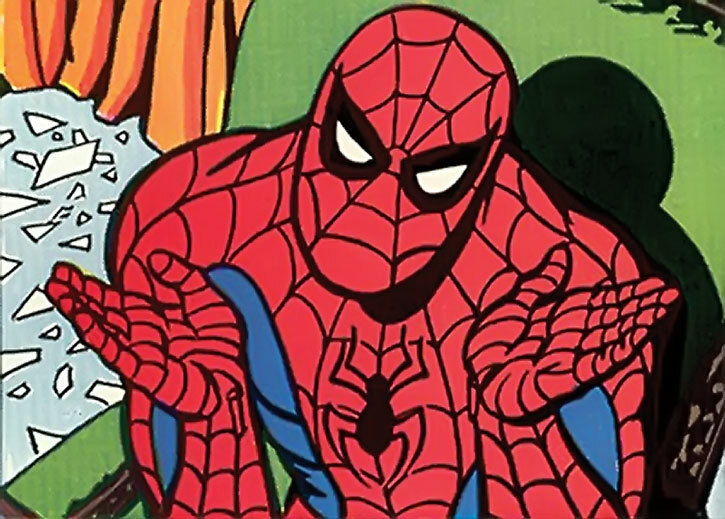 If the Character does not have the Hero Points available at that moment, they will be subtracted from their HP awards at the end of the Adventure. The final Hero Point Bonus for this Drawback is modified by the frequency of the Foe’s appearance. The base Bonus above assumes that the Foe appears in every adventure or as part of an on-going Subplot. If the Foe only appears in every other adventure, the Bonus is halved (rounding up). If the Foe only takes part in every third adventure, the Bonus is divided by four, rounding up. Examples of enemies: J. Jonah Jameson to Spider-Man during the 1970s, Cliff Carmichael toward Firestorm during the early Firestorm volumes. Examples of arch-enemies: Lex Luthor during large swathes of Superman’s career, Brainiac for Superman during parts of the Silver Age, Dr. Octopus and/or the Green Goblin (Norman Osborn) during large parts of Spider-Man’s career, Shadow Moon for Kamen Rider Black. Examples of nemeses: Reverse Flash/Dr. Zoom, Venom (Edward Brock), Bizarro, or Sinestro during the high points of their career ; the Golgum cult for Kamen Rider Black. The loss of a Foe for whatever reason should be a very dramatic event for the Character, very likely taking place the end of a current campaign or series of adventures and having effects that lead into the next campaign. If the Character is responsible for the death of a Foe and the Genre rules being used inflict penalties for killing others, the Character will have to pay both the standard penalty for killing an NPC as well as the specific penalty for losing a Foe. There should also be additional situational repercussions. A Character whose Foe has been killed may be criminally charged or sought for investigation whether they were responsible for the death or not. A reformed Foe might become an anti-hero for whom the Character feels responsible, forcing them to keep an eye on them in case they act excessively or fall back into their villainous ways. Or perhaps the Foe was keeping an allied individual or organization in check and they are now running rampant without the villain acting as a moderating influence. Author: Roy Cowan (though numerous others have developed similar house rules). This functions as in the current rules with the following exceptions. At the GM’s discretion, the OV can be further modified by circumstances. Trying to ignore an Irrational behavior for an unimportant reason such as Checking against a Fear of heights simply so that the character can climb out on a ledge to enjoy the view might add one Column Shift to the OV. However, attempting the same thing to rescue a close friend could reduce the OV by two Columns. Failure to gain any RAPs means the character succumbs to his Irrational behavior. Getting less RAPs than the character’s APs of SPIRIT means that he can suppress the urge for a number of Phases equal to the RAPs achieved. After these the character must make another Check (assuming the situation still calls for it). RAPs equal to or greater than SPIRIT allows the character to forego the Irrational behavior without further Checks under the current circumstances. The OV modifiers result in the same base target number, but allows for adjustments according to the character’s efforts (i.e. HP spending) and the situation at hand. Using the RAPs to determine the success of the roll also provides more incremental results than the current binary version where the character either completely succumbs to or completely ignores his obsession. Irrational Attractions, Hatreds, Fears and Dislikes (see below for the latter) come with a specific sort of Attack Vulnerability. This Vulnerability applies against outside pressure that pushes these buttons. In most cases, this applies to Persuasion attempts. For instance, convincing a lady thief with a MIA toward cats that she should steal that set of cat-themed jewellery, or convincing a pyrophobic Martian that he shouldn’t attend the Fire-Eating and Flame-Juggling Festival Of Burning Things. Bonus: Same as other Irrational Behaviors. A Character with an Irrational Dislike has an unreasonable desire to avoid a particular situation, item, or person. While the Character will not actively attack or truly wish harm on the object of his Dislike, they will go to great lengths not to interact with it. As with other Irrational behaviors, the subject of the Dislike must be specified when the Drawback is purchased. When exposed to the object of the Dislike, the character must make a roll equal to or greater than the Resistance Number in order to overcome their dislike. Otherwise, they will take whatever steps necessary to avoid their Dislike. If successful, the Character can tolerate their Dislike until they are re-exposed to it. If they fail, they will make whatever excuses or do whatever is necessary to avoid their Dislike, though they can roll again in subsequent phases until they overcome their aversion. Example: Captain Curmudgeon has a Minor Irrational Dislike of modern social media , including any sort of mobile device. Whenever he has to check his email or voicemail, use a cellphone or other wireless communication device, or do research on the internet, he must roll against his Dislike. If he fails, he will find some other activity that he argues needs more immediate attention or claim he did not have a network connection. Irrational Hatred, which requires that the Character attempt to destroy the object of their Hatred. And Irrational Attraction, which can be used to similar effect albeit sometimes using counter-intuitive descriptions to do so. To build up on the previous, it is important to remember that Irrational Hatreds are *murderous*, assuming that they are about living beings. It’s hatred in the actual sense of the word, not the colloquial sense of vague dislike and perhaps mild annoyance. For those who have trouble with how Power Loss is priced, here’s something I’ve found helpful. It’s easier to think of Power Loss’ refund as being based not on the final APs of the Power, but rather on the number of APs lost. For example: a Power that drops from 12 APs to 4 APs has lost 8 APs, and Power Loss therefore pays back the cost of an 8 AP Power. But at what Factor Cost? To determine this, take the affected Power’s Factor Cost and, if the Power Loss Condition is Rare, subtract 2. Otherwise, leave it alone. If this results in a modified Factor Cost of 1 or less, see below. The Power Loss Factor Cost is then half (round down) the modified Factor Cost of the Power it affects. *If the modified Factor Cost of the Power is 1 or 0, Power Loss pays HPs equal to the APs of the Power; if the modified Factor Cost of the Power is -1, Power Loss pays HPs equal to half (round down) the APs of the Power. Occasionally, the question has arisen as to how to price Power Loss if the Condition is the default case. In other words, what if, instead of a Power that fails to work under certain circumstances, you want a power that only works under certain circumstances? Viewed as above, it’s pretty easy: add 2 to the FC of the target Power to obtain the modified FC. Some fictional characters are much more efficient when working together than when separated. Usually it applies to a pair of characters – examples encountered so far have been the Double Dragon, the Dee Dee Twins and Val and Earl (Kevin Bacon and Fred Ward in the movie Tremors). If the characters are separated — they cannot clearly see and hear each other using standard human senses — their Hero Points use becomes penalised by two columns on the Genre Table. For instance characters in the Action Genre spend HPs as if operating in the Gritty Genre, Mock-Real characters spend points as per the Real Genre, etc. If the characters are not separated, their Hero Points work normally. Thus, Characters with this Drawback tend to save Hero Points for when they are together, making them even more markedly competent and enduring when together than straight maths would suggest. Other comparable game elements include the Fighting Array Schtick, the Brainstorming Schtick, the Dream Team Advantage (it is possible to have both the Synergy Drawback and the Dream Team Advantage if the difference in performance when together is very much marked), or Loss Vulnerabilities to not being together (such as Andrea & Andreas Strucker).